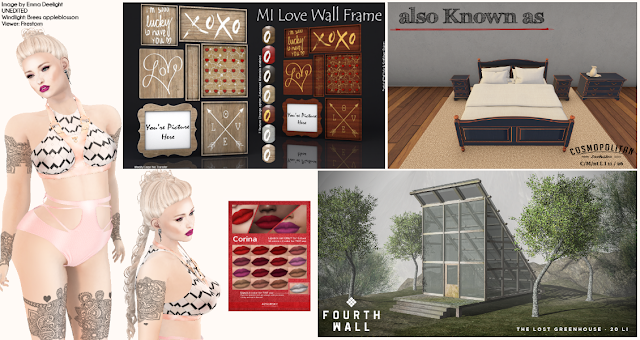 Today I am featuring Fabia, Kaithleen's, ChicChica, Chez Moi, Mesh India @ Cosmopolitan. The current round of Cosmopolitan will run 12 February - 24 February. For more information on the MadPea - Nightmare in New Orleans event, click here. 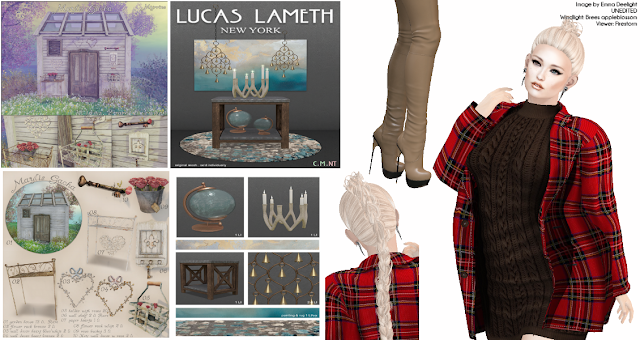 Today I am featuring DeLa, Pumec, United Colors, Renegade @ Fetish Fair, KraftWork @ Builder's Box, unKindness @ FaMESHed, 7 Emporium. For more information on Builder's Box, click here. I hope you enjoy today's urban flat. Today I am featuring Vanity Hair, DS'ELLES, RedFish, Neve, Bishes Inc, Dictatorshop @ Fetish Fair and elev8 @ ULTRA. I hope you enjoy today's seated look. I hope you enjoy today's bedroom Cosmopolitan look.